Michael Eric Dyson may have announced his imminent departure from Philadelphia last week--he has accepted a position at Georgetown University --but he will be here tonight at the Central Library's Montgomery Auditorium at 7:00 p.m. (This event is free; no tickets required.) 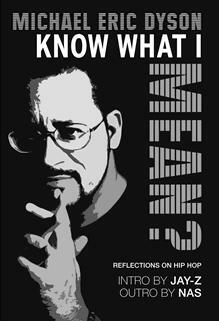 Grammy Award-winning rapper Jay-Z is credited with the introduction to Dyson's latest book, Know What I Mean? : Reflections on Hip Hop. Among other things, Jay-Z praises Dyson for "[talking] about pimping in terms laid out by Hegel." You can read the whole thing here .